Long gone are the days when homeowners had to spend tons of money to get the kitchen of their dreams. Thanks to the internet and the readily available interior design knowledge, a lot of proprietors are taking it upon themselves to refashion their kitchens. And needless to say, the results are stupendous. Therefore, if they can do it, so can you. First of all, you are required to list all of the changes you want in your kitchen. Doing this is imperative as it will help you come up with a fitting budget and a time-frame. Some of the built-ins you might fancy include coffee makers and mixers, banquettes for breakfast and appliance areas just to mention a few. Thankfully, modern appliances are premeditated to fit into standard cabinetry sizes correctly. It is imperative to note that your choice of kitchen appliances will determine the budget as well as the general outlook of your kitchen. That said, you will need to put a lot of thought as well as research on the exact appliances you want. Remember, it is your kitchen, and you should always go for appliances and renovations that appeal to you on a personal level. There is a plethora of material and designs you can choose from when renovating your kitchen floor. Some of the popular flooring materials include vinyl, concrete, ceramic tile, wood, and laminate. Once again, your personal preference, as well as your budget, should come into play as far as your choice is concerned. When it comes to floor replacement or renovation, you shouldn’t shy away from seeking ideas from experienced interior designers, family members, and online experts. For those who aren’t familiar with the kitchen lingo, islands and peninsulas are terms used to refer to the modern kitchen’s working station. Three things happen in the islands and peninsulas: informal dining, food preparation, and food storage. You can seek the services of a brilliant interior designer to sketch the basic designs and get to pick the best. That way, your working station can accommodate a sink, a microwave oven, a cooktop or beverage refrigerator. 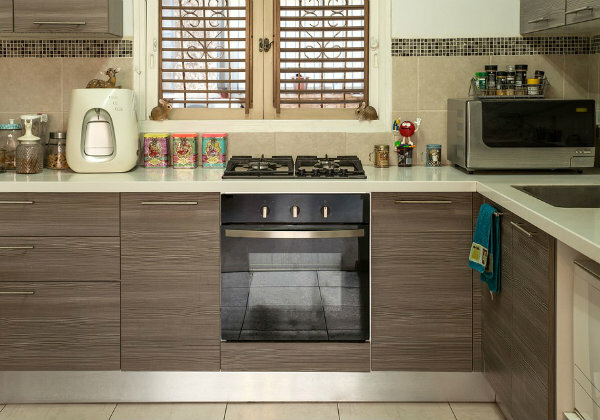 This careful design will end up saving a lot of space and at the same time get to beautify your kitchen. There are quite some things that you need to consider before carrying out a successful kitchen remodeling or renovation. But you can always start with the five mentioned above as they are the most important factors. Doing so will give you a “road map” that will help in remodeling your kitchen correctly and in an orderly manner. Article contributed by: Keechi Creek Builders, Houston, TX based leading custom home builder and remodeler. Visit their official site to learn more about what they do.